Tanzanite Bead Necklace - 50% OFF! Nothing compares to the magic of Tanzanites, rare and beautiful, these special stones are perfect for any occasion. 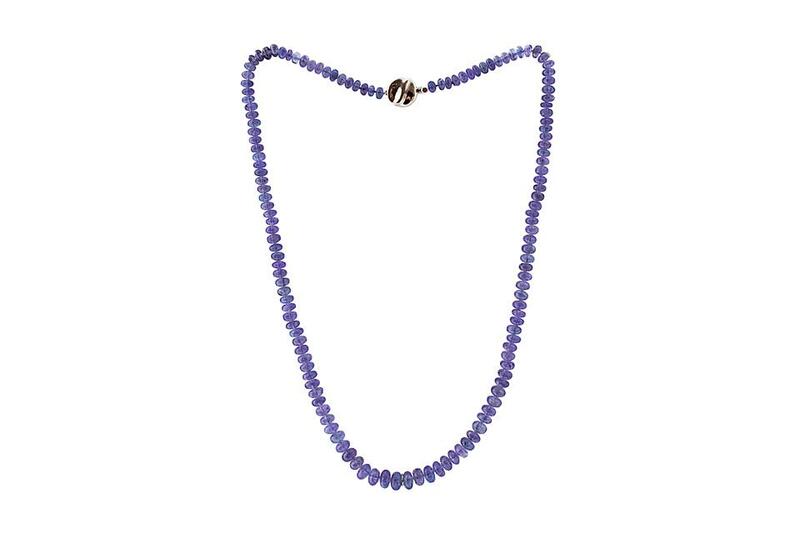 This luxurious Tanzanite Necklace is strung with gently graduated, smooth Tanzanite Beads. It measures 47cm in length and features a Sterling Silver clasp.